Robot Chicken and DC Comics collide! Who will survive with their super-dignities intact? Nobody! In Robot Chicken's hands, Superman, Batman, Wonder Woman and even Mr. Banjo could end up dead or naked or both or neither. Starring Seth Green as Batman, Robin and the put-upon Aquaman, Paul Reubens as The Riddler, Neil Patrick Harris as Two-Face, Alfred Molina as Lex Luthor, Nathan Fillion as the Green Lantern, Megan Fox as Lois Lane, Breckin Meyer as Superman Over 2 hours of extras! 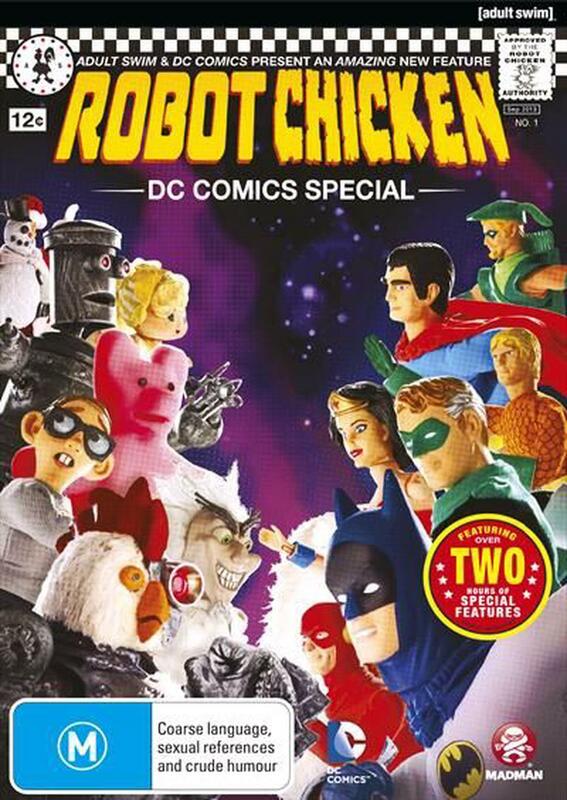 Robot Chicken and DC Comics Collide!